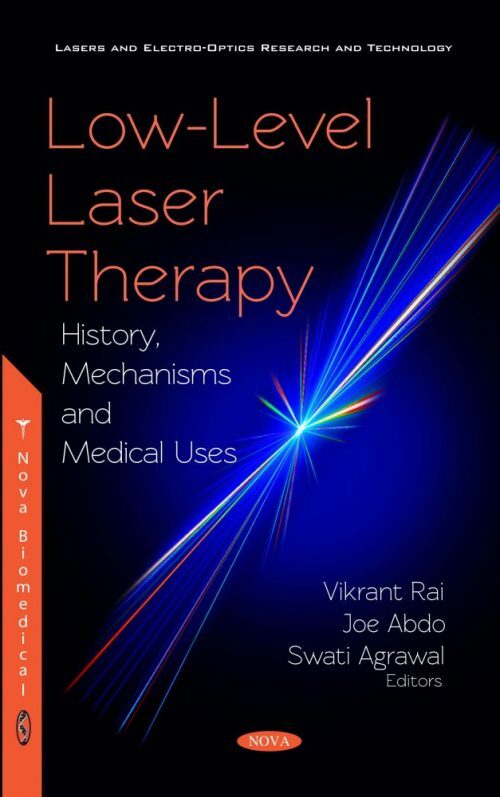 In this book, the authors have provided the latest and most in-depth information on one of clinical medicine’s most useful tools: Low-Level Laser Therapy (LLLT). Written by over a dozen experts from five continents, from Jerusalem to Johannesburg and San Diego to Sao Paolo, the breadth of knowledge provided herein expands not only the globe, but many medical fields. LLLT is an inexpensive, easily employed therapeutic strategy that has validated clinical utility in dermatology, oncology, dentistry, veterinary field, wound healing and many other medical arenas. This book provides the most up-to-date information on recent clinical trials as well as catalogs the optimal therapeutic settings for a myriad of disease states. In the past, biochemical mechanisms associated with LLLT therapy have not been well-described; however, this book provides comprehensive and simple biochemical processes pieced together from theories provided by the most recent and reputable publications. The mechanisms involved in the numerous diseases covered by each chapter are also included herein. Low-Level Laser Therapy: History, Mechanisms, and Clinical Uses captures the incredible dynamic usefulness of this simple technology while also listing the therapeutic settings that have been deemed the most effective for dozens of medical ailments. Whether you are a student of medicine or a clinical practitioner, this book will serve as a helpful guide on how LLLT could play a role in the care you or your team provides on a daily basis.